Unless you’re already a PC gaming enthusiast, or you’ve bought one of their projectors, the brand BenQ might be relatively unknown to you. Along side great projectors, BenQ also makes some of the best 1080, 1440, and 4k gaming monitors – without a doubt. 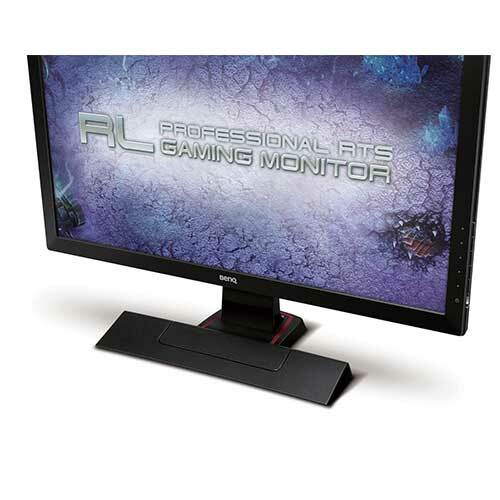 The Rl2455HM makes an amazing monitor for gaming due to it’s super low response times and reasonable contrast ratios. The display is ran by a TN panel and it even has some built-in speakers that you would be better off not using. The sticker-price of an 24 inch RL2455HM is usually somewhere around $300, but due to a very recent price-drop at Amazon, you can get it new for $173+taxes. 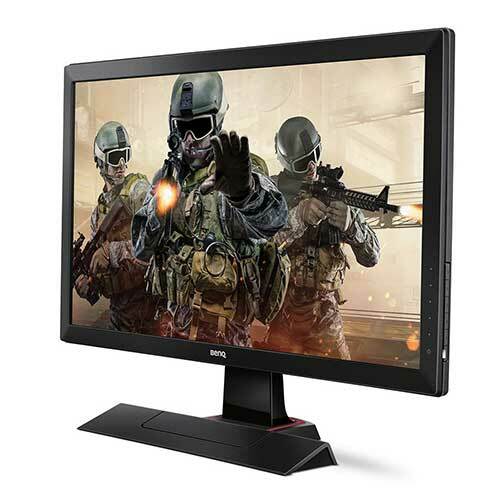 The BenQ RL2455HM is an amazing 1920×1080 gaming monitor, and with the recent price drop, you would be missing out big-time by not upgrading to it. 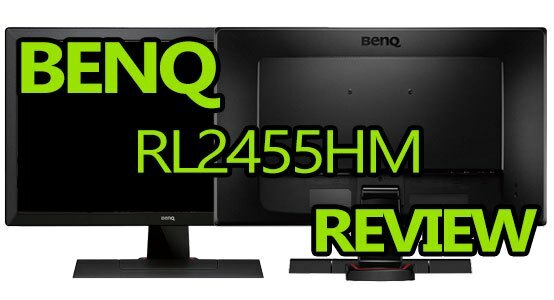 BenQ makes some of the best dedicated gaming monitors you can get, and the 24 inch RL2455HM is no exception. Boasting a blazing fast 1ms gray-to-gray respond rate, a 60hz refresh rate, it basically eliminates any kind of input lag, like you’re currently experiencing. It also has built-in speakers, but you should probably just avoid using them. Basically any review you read will mention the fact that the speakers are really the only downside to the RL2455HM. 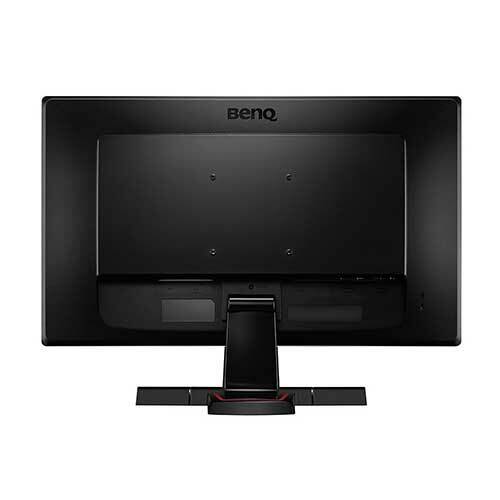 The overall design of the BenQ RL2455HM is really appealing, and the matte finish really adds a lot to it. It features all of the inputs you need, and then some, including DVI-DL, 2 HDMI ports, and both headphone and audio jacks. It feels nice and sturdy when the unit is put together, and the foot-print of the base is actually quite small. Personally, I kind of thought the base looked a bit like a vacuum head at first, but it grew on me over time. All of the adjustment buttons are neatly tucked into the right side of the monitor so they’re not bumped, but they’re easy enough to intentionally press that you won’t accidentally break anything. Although the BenQ uses a TN panel and not IPS or VA, the colors are surprisingly vivid and crisp. The 60hz refresh rate coupled with a GTG respond time of only 1ms mean this monitor has literally 0 input lag, which makes it amazing for gaming in general. The built-in speakers sounded like a good idea, when I first heard about it – ha, get it? But it quickly became apparent that my HTC M8 produces better sound quality, and it’s a cellphone.. But hey, some sound is better than no sound, right? The RL2455HM also uses significantly less power than your conventional 24″ LED-lit monitor, but LEDs already use such little power, that you probably wouldn’t even notice the difference (unless you have 10 or something). It features 1000:1 static contrast ratio, and 12,000,000:1 dynamic contrast ratio, which is incredible. At this price-point, the RL2455HM outperforms everything else, and there isn’t much else to say about that. The unit ships in 3 core pieces which you have to put together, the base, the upright arm, and the monitor. It’s a pretty simple process that will take about 35.5 seconds. From there it’s plug & play. 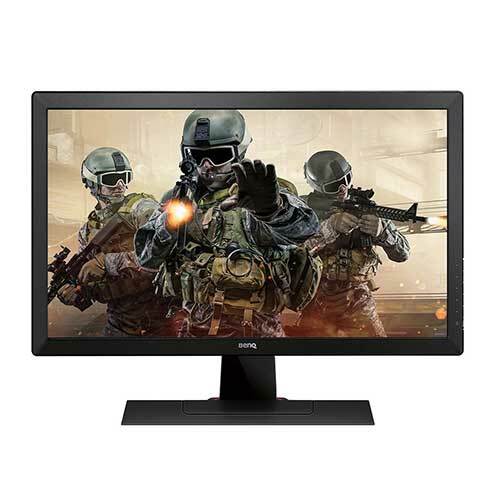 If you need a good gaming monitor for under $200, that you can also use for literally anything else, including watching TV, the BenQ RL2455HM 24 inch has you covered. With it’s blazing fast 1ms gray-to-gray respond time, and 60hz refresh rate, input lag is a thing of the past. 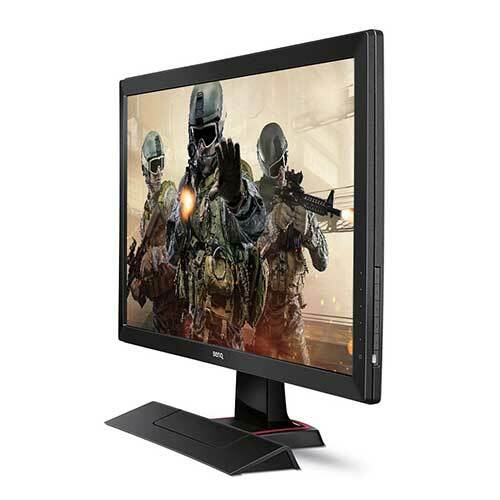 All-in-all, the RL2455HM is most-likely the best gaming monitor you will get for under $200.